The Library's Annual Holiday Tea, a fun scavenger hunt (enter to win! ), a visit from Santa, and more! Check out these December programs for adults @ NKCPL! Please note: The Library will be closed Dec. 23-25 for Christmas, and Dec. 30, 31 & Jan. 1 for New Year's. Have a safe and happy holiday season! The holiday countdown is on! To celebrate the season, come craft a choir of pop-can angels--a cute throwback craft from pre-Pinterest days! Supplies are provided. Join us! Register here. Do you love a good cookbook almost as much as a good novel? Do you love to gather with friends over a delicious meal? Then this group may be for you! Join us for a themed potluck on the first Thursday of *most* months. Want more details about how this monthly group works, what this month's theme is, and/or what you might bring to the feast? 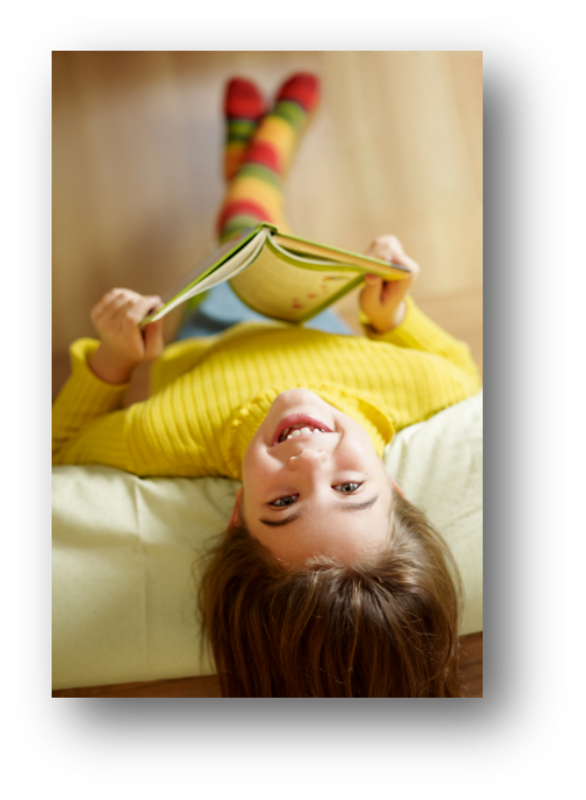 Contact Amy Brown at abrown@nkcpl.org , or by phone at 816.221.3360. We'd love to have you! Join us for our 15th Annual Holiday Tea, sponsored by the Friends of the Library. This special afternoon of treats, music, and festive fun is one of our favorite events of the year--and once you attend, you'll understand why! Drop in anytime from 1-4 on Saturday, December 8. No registration required (though you can click here to sign up to receive an event reminder). Have kiddos? We'll have a craft on hand for them to do, too. Join us! Drop in anytime after 6:30 pm to work on a simple donation sewing project. Register here. *New series! * Join instructor Amy Vance for a refreshing hour of yoga at the Library. No experience necessary! Bring a mat (or a towel), if you can. Amy will be teaching a number of Tuesday evening yoga classes from Dec-Feb, so come as often as makes sense for you. This is a great opportunity to start a new yoga practice as we head into the New Year! 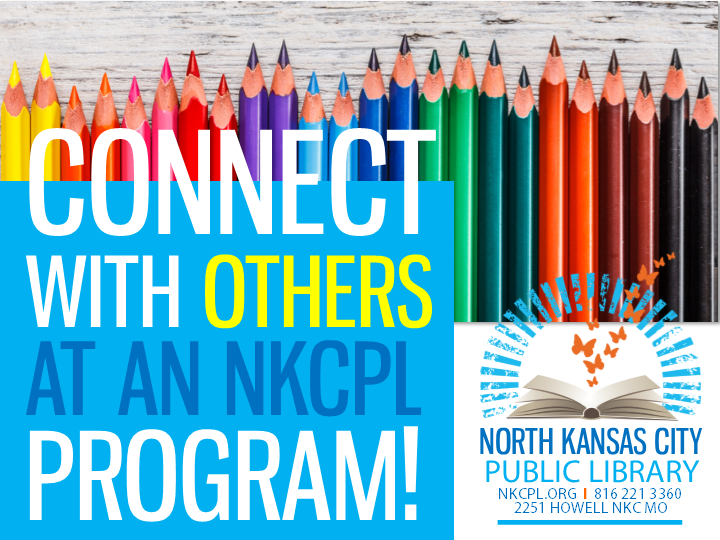 Go to nkcpl.org > Programs and Events tab > December to register for one or both of these December sessions. Looking for a gentle form of stretching--but not quite ready to hit the mat? Join us every other Wednesday (approximately) for a relaxing hour of chair yoga with instructor Shannon Wheeler. No yoga experience necessary! Register here. Join crafter Sheryl Godsy for a creative workshop, and learn how to use alcohol inks to make fun and festive holiday ornaments. Lots of possibilities here! Supplies are provided. Register here. Come learn how to make your own cozy pair of PJ pants with instructor Lenora Remmert. You will need to supply your own fleece or flannel fabric for this one; we will be in touch closer to class time with details about those requirements (yardage and such). Register here. Are you a fiber lover (a knitter, crocheter, or spinner, perhaps) who's looking to connect with others of your own kind? Bring your wip (a last-minute gift, perhaps??) and come knit/stitch (etc) alongside other fiber-craft friends. New knitters and crocheters, you're welcome to join us at this session, too! Register here. Interested in doing some sewing on your own outside of the Library's designated instructional time? Check out Open Sew! Bring your work-in-progress (maybe a handmade gift you're working on?) and utilize free access to the Library's Common Threads Makerspace, a new sewing lab located on our Lower Level. Questions about this space/time? Please email abrown@nkcpl.org . Note: There is no sewing instruction during this time, and machines are available on a first-come, first-served basis. Join us for a special winter-themed concert with classical guitarist and UMKC professor Braulio Bosi. This promises to be a lovely evening, so come take a break from the holiday hustle and bustle! Refreshments provided. Bring a friend! To register to receive an event reminder, click here. Stop by during Storytime to get a pic with Old St. Nick! Photos will be available for download/printing - and feel free to bring your own camera, as well! While you wait, write a letter to Santa (who'll take them back to the North Pole when he goes, of course!). No registration required. Join us! Stop by the Children's area (we'll be back in the craft room) during the Library's Annual Holiday Tea to make a festive button project. No registration required!